Because symptoms of mesothelioma are often identified incorrectly as symptoms of other diseases, it is often difficult to diagnose mesothelioma at an early stage. 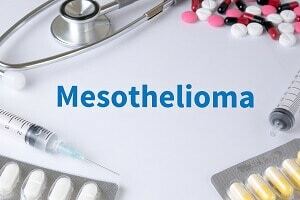 As exposure to asbestos is the overwhelming leading cause of mesothelioma, it is especially important for those past asbestos exposures to understand the potential signs of mesothelioma. Doing so may increase a mesothelioma’s victim chances of an early diagnosis, improving their prognosis in facing the devastating disease. Unfortunately, mesothelioma often develops for years, often decades, before any symptoms of the disease even present themselves. This may mean that cancer has had an opportunity to progress to some of the later stages of the disease. Some symptoms of mesothelioma are common to all varieties of the cancer. However, symptoms are strongly correlated to which part of the body the mesothelioma tumors are found. There are three main areas of mesothelium (thin tissue lining) in the body where mesothelioma cells develop – the lining of the lungs (Pleural Mesothelioma), the lining of the abdominal cavity (Peritoneal Mesothelioma) and the lining of the heart cavity (Pericardial Mesothelioma). Pleural Mesothelioma is by far the most common type of the cancer, accounting for about 75% of all mesothelioma cases. Patients suffering from this pleural mesothelioma will experience different symptoms depending on the stage of the disease. First Stage: The patient may very well not notice any symptoms. Diagnosis at this early stage often occurs as a result of an accidental detection by a doctor reviewing a simple X-ray or other tests. Once enough fluid has built up in the area around the lungs, patients may experience shortness of breath or chest pain. Second Stage: The tumors have spread beyond the lining of the lung and into the lung and diaphragm. This may result in new or increased chest pain. Patients also can experience pain in the upper abdomen or even the shoulder during the second stage. Coughing and labored breathing may appear or get worse as symptoms. Third Stage: The tumors have spread even more throughout the chest. When tumors have spread through the chest, it places pressure on the lungs. This can significantly increase second stage symptoms like pain, breathing difficulty, constant coughing, tightness. As a corollary to those conditions, patients often experience fatigue and weight loss. Fourth Stage: If a patient is in the fourth stage of this terrible disease, tumors have spread throughout the chest and body. In addition to worsening of the previously mentioned symptoms, patients now may be able to feel lumps of tissue under the skin. Many patients in stage 4 require 24-hour oxygen to help them breathe. Mesothelioma is a terrible disease that lies dormant in the body for decades before quickly taking hold and taking over a person’s body. Under current science, there is no cure for mesothelioma – only treatments that can improve prognoses and provide some relief from the symptoms. Diagnosing the disease as early as possible can improve your prognosis. Particularly if you have a history of asbestos exposure in your work or home, it is essential that you relay that information to doctors should you ever require treatment for any of the symptoms listed above. At The Shannon Law Group, we are committed to assisting those diagnosed with mesothelioma. We have handled these types of cases. We understand the sensitivity required to handle them. We understand that you or your loved one may not be able to physically visit our law offices because of the physical limitations of this terrible disease. We are also happy to come to you. Feel free to call us for a free consultation.